Power Prayers to Start Your Day will boost your relationship with God through specific prayer starters for 21 key areas of life. Inside you'll find "power prayer" for your quiet time, family, work, stresses, praise and much more. 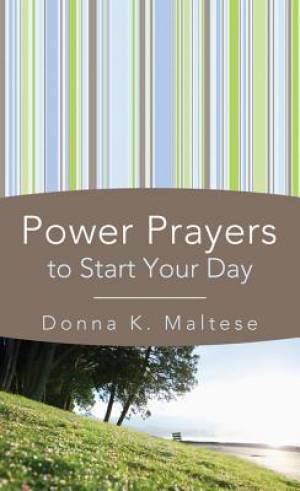 Power Prayers To Start Your Day by DONNA K MALTESE was published by Barbour in July 2012 and is our 6949th best seller. The ISBN for Power Prayers To Start Your Day is 9781616269494. Be the first to review Power Prayers To Start Your Day! Got a question? No problem! Just click here to ask us about Power Prayers To Start Your Day.